The Uwell Crown 4 kit offers near-instantaneous firing speed and allows the Crown 4 box mod to achieve wattages of up to 200W. Sports a luxurious side panel designs, featuring a central Crown emblem. By buying this product you can collect up to 13 loyalty points. Your cart will total 13 loyalty points that can be converted into a voucher of NZ$1.95. The Uwell Crown 4 200W TC Starter Kit is an advanced vape kit, with an emphasis on all-round-fine high-end-design. It includes an all-new proprietary chipset, paired with the widely loved Uwell Crown 4 Tank. The proprietary chipset offers near-instantaneous firing speed and allows the Crown 4 box mod to achieve wattages of 200W. Externally, the Uwell Crown 4 Box Mod sports a luxurious side panel design, featuring a Crown emblem. 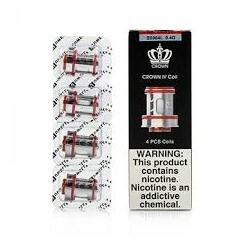 The Crown 4 Starter Kit is paired with the Crown 4 Sub-Ohm Tank. 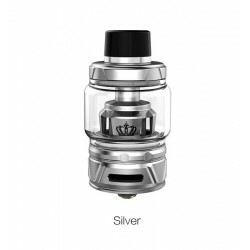 The new 6ml Crown 4 tanks includes a quarter turn threaded top fill system, and the Pro-FOCS flavour optimization core with a range of dynamic coil options. 18650 Batteries NOT included - grab some 18650 batteries here. Get some UWell Crown 4 Replacement Coils.